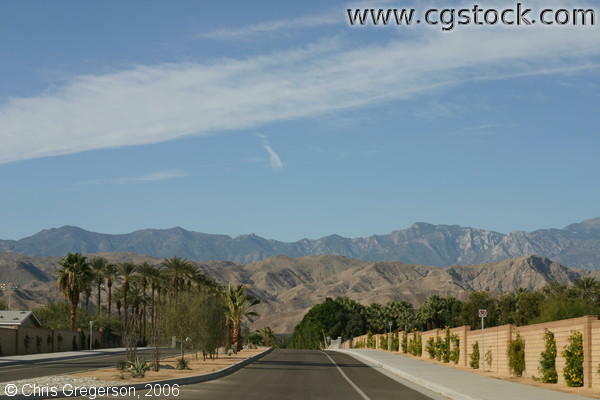 It could be Gerald Ford Drive, but it's in Rancho Mirage, California. This is in the Coachella Valley, near Eisenhower Medical Center. There are several country clubs lining the street.